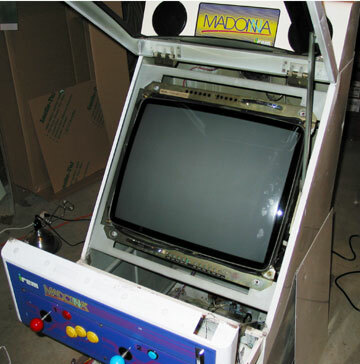 The Irem Madonna is a pretty standard Japanese sit down Jamma cabinet. 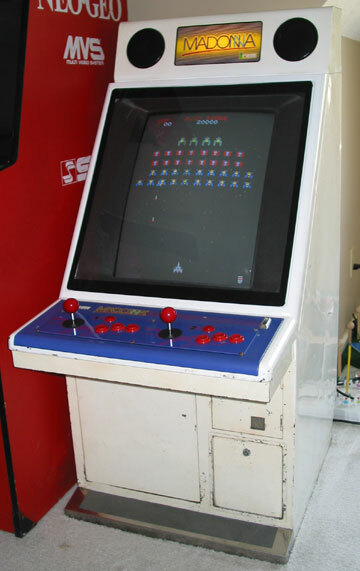 It has a 25" rotatable monitor, 2 speakers, 1 coin mech, marquee light, and lots of space inside. 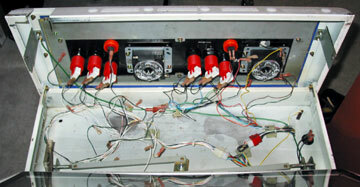 When you open up the Control Panel, you can then lift the monitor cover which allows you to rotate the monitor. 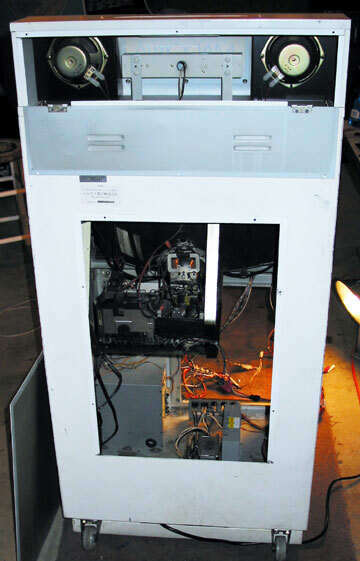 All you have to do is remove 4 wingnuts and the monitor can be pulled out about a foot, rotated, and replaced. The back opens up for easy accessability as well.